To promote the latest Tales role-playing game Tales of Xillia, Namco is rolling out a Tales cafe, first in Tokyo and later in Tokushima. 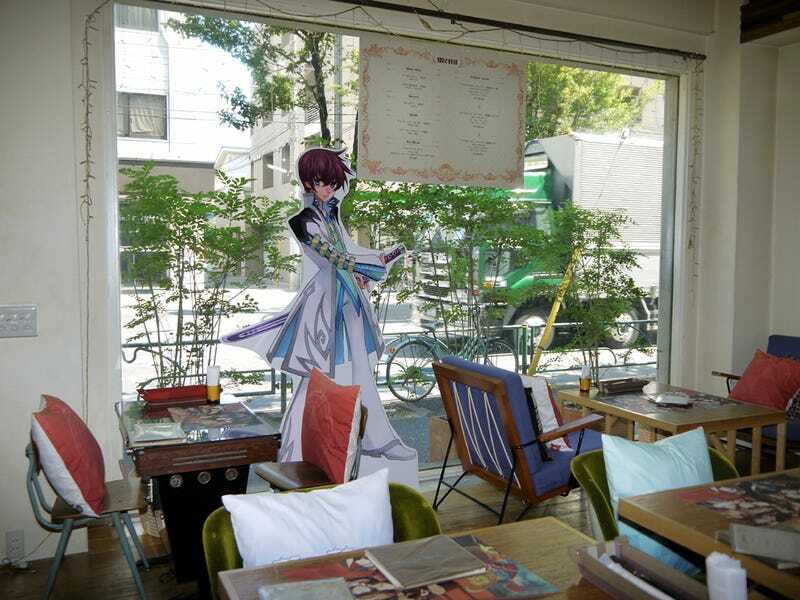 It's pretty much trendy cafe Ufotable sprinkled with Tales memorabilia and merchandise. Though, those placemats showing the Xillia characters eating curry in Ufotable are cool indeed. That cutout by the window? Less so.